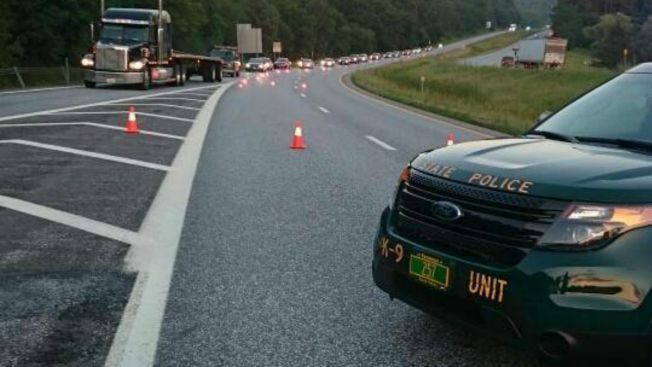 One person was killed and another was seriously injured Thursday evening in a three-car crash on I-89 in Richmond, Vermont. One person was killed and another was seriously injured in a three-car crash on I-89 northbound in Richmond, Vermont. Fire officials in Williston say that a male patient, identified by police as Brendon Cousino, 30, was "heavily entrapped" in the vehicle. When they responded shortly before 7:30 p.m., he did not have a pulse. Officials also confirm that a female, Karri Benoir, 23, was seriously hurt when she was ejected from her vehicle. She was taken to the University of Vermont Medical Center. The third car involved sustained only minor damage. The driver of that car, Shane Libbery, 57, refused to be transported. Traffic was diverted off the northbound side of the highway at Exit 11 for almost five hours.